Most of us are not born with that red-carpet-ready celebrity smile. In fact, most well-known celebrities are not born with their red-carpet smiles either. However, that fantastic smile is now within reach near Nutley, NJ with the help of Dr. Matthew Milestone and the team at Milestone Orthodontics. Adults are often reluctant to wear braces as a method of orthodontic treatment. Dr. Milestone can prescribe treatment with Invisalign clear aligners. Invisalign is virtually invisible, are removable by the wearer, and causes less irritation for the wearer than traditional methods for straightening teeth. The Invisalign system, using a 3D computer imaging system, creates precise scans of your bite. 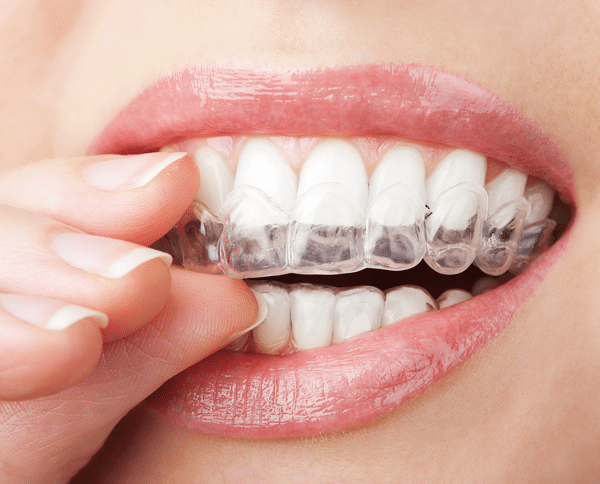 The Milestone Orthodontics team will then use those scans to design your personal Invisalign aligners for each step as your treatment progresses. Dr. Milestone has extensive experience using Invisalign clear aligners to straighten patient’s teeth, and the team at Milestone Orthodontics find that treatment with Invisalign is typically as effective as regular braces. There are differences between treatment with braces and treatment with Invisalign, and each has their unique benefits. The team at Milestone Orthodontics can help you get started using Invisalign today. They have all the information you’re looking for to determine if Invisalign is the right treatment option for you or your child. To schedule an appointment or to learn more about Dr. Milestone and the team, call us today at: (201) 845-8411.